Portland is a hotspot for experimental ideas, creativity, and values in health and wellbeing. We are intrigued by these Portlanders who have combined these three elements, and use their creative spirit to transform and improve the workplace. 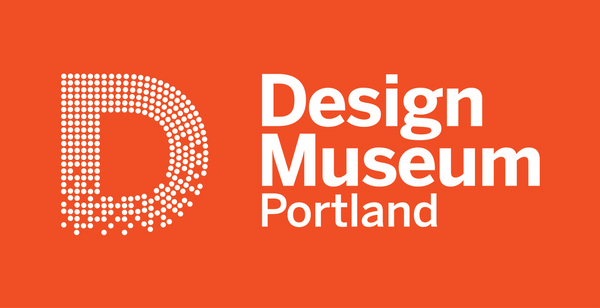 Before Design Museum Portland hosts two workplace innovation events this month, check out how these local offices are changing how it looks and feels to go to work! Interior Office Solutions has always aimed to innovate the workplace as one of the fastest growing Haworth Preferred dealerships in the nation. With their newest showroom, they’re taking it beyond aesthetics: Interior Office Solutions took on the pioneering project of opening one of the city’s first WELL Certified buildings. WELL Building Standard promote wellbeing in the workplace by ensuring that the design, construction, and final space is focused on the health of the people who will be using the space daily. The WELL-certified IOS showroom includes a comprehensive approach to seven key features, including nourishment, light, and mind. One of the most enticing features of this new showroom is a yoga and meditation space, where employees can take a minute to find some peace and quiet. There is no question, Portland is expanding at an exponential rate – with our incredible culture and city features, who wouldn’t want to be here? Entrepreneurs and remote professionals alike choose the Rose City as their home base for a work/life balance, oftentimes telecommuting with the rest of the nation and craving a sense of community. That’s where CENTRL Office comes in. CENTRL is a coworking space with locations in the Pearl District and the Eastside, just south of the Lloyd District. CENTRL is home for many remote workers, startup companies, and small businesses who value idea sharing and collaboration, no matter the industry. From events to meal delivery to express chair massages, CENTRL members certainly have access to a wide variety of experiences! Pacific Furnishings is partnered with a furniture designer that has arguably transformed the office landscape more than any other: Herman Miller. As the inventors of the cubicle, the quintessential office chairs you’ve undoubtedly sat in, and many other pieces of modernist furniture, Herman Miller has always been pioneers in workplace innovation. Their latest movement is called the Living Office, which aims to bring humanity back to the workplace—even addressing and rerouting some of the issues with their very own cubicle! Pacific Furnishings offers more than just Herman Miller products; they specialize in healthcare design, striving to create better and more efficient spaces in which doctors and nurses can work with patients to assist in their recovery. As many organizations and companies begin to realize their current buildings have become outdated, SERA has stepped in to transform those spaces. An architecture firm dedicated to sustainability, SERA has renovated some of the most transformational projects on the west coast, including University of Oregon’s Erb Memorial Union and LinkedIn’s campus in Mountain View, California. One of SERA’s more recent projects—the Mason Ehrman building in downtown Portland—has been years in the making. SERA renovated the 100-year-old building in 2000 and brought it up to LEED Gold standards in 2011, reducing energy usage by 38%. Just last year, SERA returned once more, overhauling the attached warehouse and completing a series of seismic improvements for the buildings. Environments NW is a workplace design company partnered with 40 office furniture and environment vendors, but they work most closely with Knoll. Knoll takes pride in offering businesses carefully designed furniture, accessories, and even textiles, and recently they partnered with Environments NW to take on an enormous project: designing the interior of Daimler Trucks’ brand-new North American headquarters in Portland. With a building standing nine stories tall and housing over 1,000 employees, simply providing furniture would have been an impressive task—but Knoll went further, designing and installing several truck-related art pieces, and ensuring that the office layout met Daimler’s specific needs. Workplace innovation expands beyond office furniture and layout. Mentor Graphics, an electronics company headquartered in Wilsonville, has many great benefits that one would want from an employer—health insurance, retirement plans, and flexible time off. To address the needs of the employees, Mentor Graphics went beyond to offer a much-needed benefit for parents: an on-campus, company-run preschool. Now in its 25th year of operation, the Child Development Center provides childcare primarily for the children of Mentor Graphics employees, but also for families of the local community. The Center adheres to the accreditation criteria of the National Association for the Education of Young Children, and can support up to 100 children year-round in its 7 classrooms and 2 studio spaces. When the weather’s nice enough, they can even venture outside to learn and play outside of the classroom. If you’ve ever taken a look at Portland’s skyline, you might have noticed a tall, glass-paned and modern building, topped by four wind turbines. That building is the Twelve West Building, designed and developed as a joint effort between two Portland companies: architecture firm ZGF, and urban development firm Gerding Edlen. Twelve West doubles as an apartment building and an office building, boasting 18 floors of residencies as well as ZGF’s Portland office, where they pursue sustainable and innovative architectural designs. While the wind turbines might be a visual reminder of its sustainability, that’s not the building’s only environmentally-friendly feature. Twelve West was designed to meet two LEED Platinum Certifications, and the whole building is being treated as a prototype and laboratory for future energy efficient buildings. That way, when ZGF and other firms are designing further buildings, they will know what works and what doesn’t. PAE is an engineering company that is bringing together environmental sustainability and gender equality, innovating the workplace both structurally and socially. They’ve designed 35 LEED Platinum Certified buildings, and 13 buildings that operate with net-zero energy consumption. Innovative designs aren’t enough for PAE; they also recognize that engineering is dominated by men, and they want to diversify the industry. With this in mind, they created a paid leave program available for both men and women when welcoming a child into their lives in any manner—whether it be a birth, adoption, or foster care placement. The goal of the program is to encourage parents of all genders to take time off from work, which in turn will hopefully remove the stigma faced by women when they try to advance their careers. Don’t miss our Workplace Innovation events this month!